Setup of the kids tables and chairs and the décor was done by Party Animals. I made all the décor for the party. 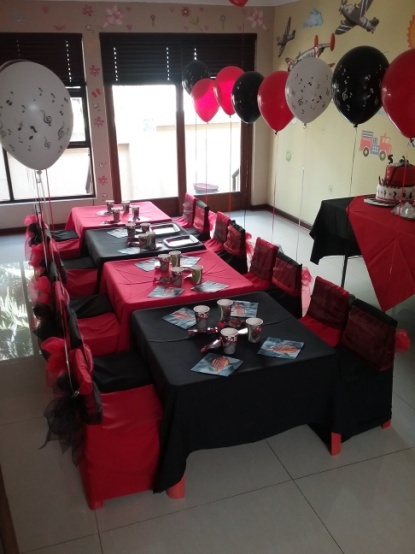 We always rent out the décor and if the party was done as a package instead of individually rented items, they would not be charged for as they would be part of a package. 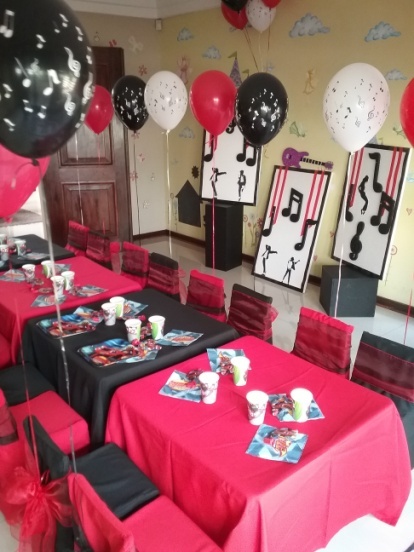 In this instance, all of the décor was especially made for this party. 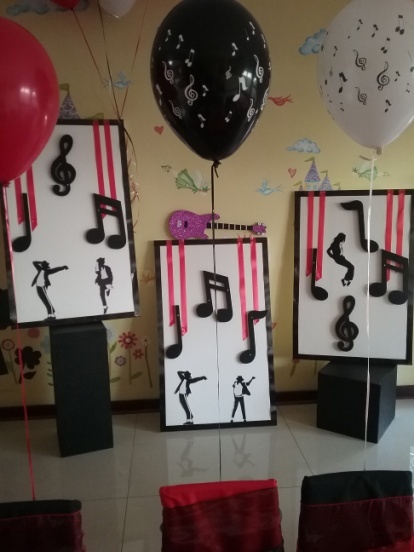 I sourced balloons with music notes and filled them with helium. Balloons add so much fun and festiveness to any function! 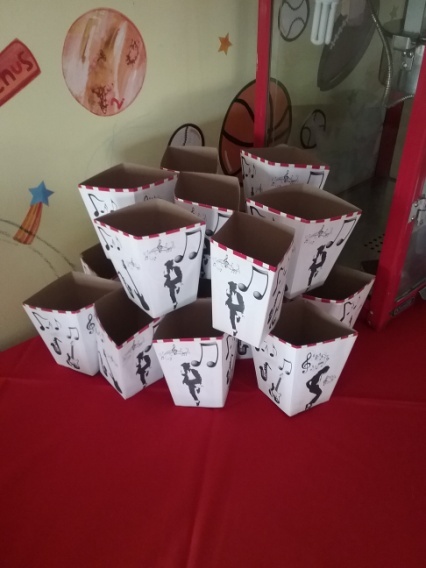 We installed the Popcorn machine and my husband designed the popcorn Wrappers to fit in with the theme of the party. I set up the Mini Black Galleon Jumping castle on the lawn outside and the kids really had a very enjoyable party.